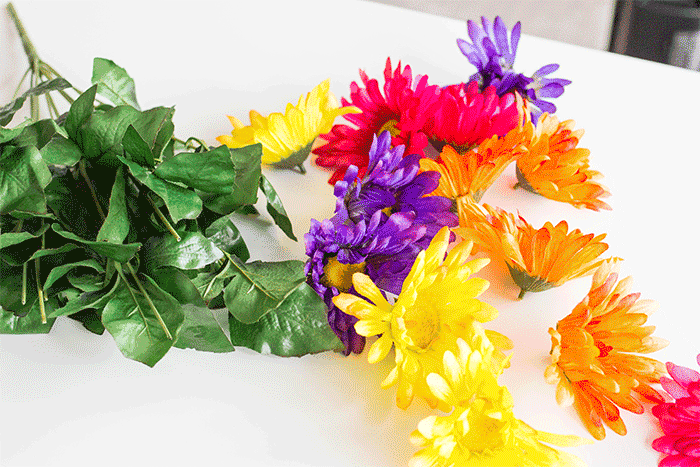 Nothing says “spring” more than flowers. Looking forward to the blooms on the trees and in the gardens is an exciting part of the changing of seasons. 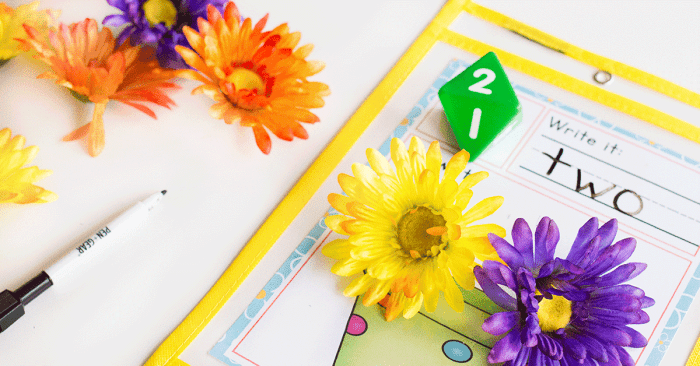 This free printable spring math game for kids is a great way to bring flowers into the classroom (or living room if you are homeschooling like us!) 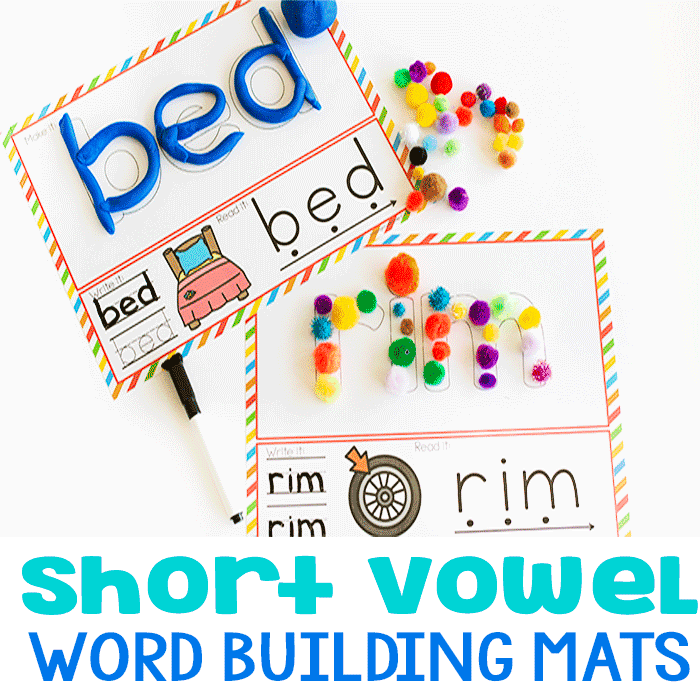 My kids love dice games and it’s a fun alternative to flashcards and math worksheets. Best of all, it requires almost no prep time, so you can print and go in less than 3 minutes. There’s a reason why our Roll and Count Math Games are some of the most popular math activities on Life Over C’s. I have requests for new themes every week and e-mails from teachers like you whose kids are falling in love with their daily math centers because they are so engaged in the fun themes. Who doesn’t love hands-on learning? I have heard rumors that there are children out there that do love math worksheets, but I have not actually met any. Every child that I have met loves hands-on activities for learning. 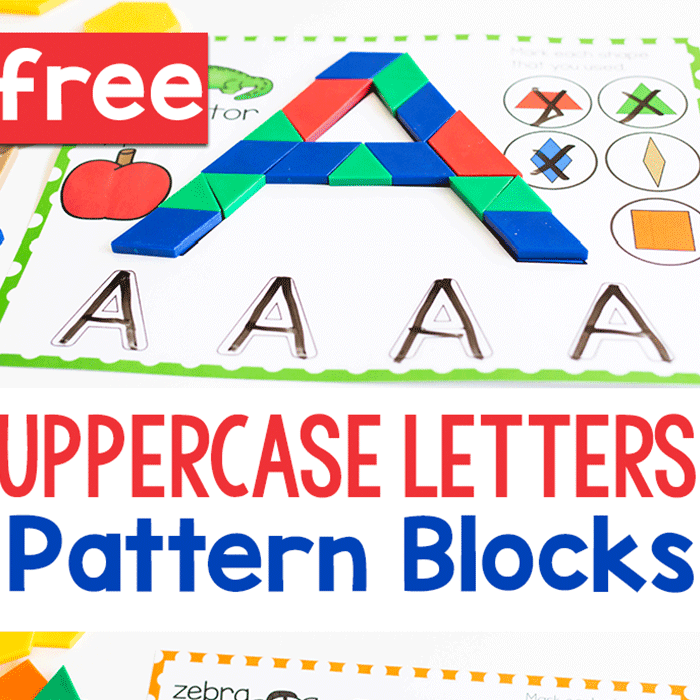 Printable math games engage the whole child as they dive into fun learning theme, feel textures, count while touching the objects and involve several methods of counting all in one no prep activity. 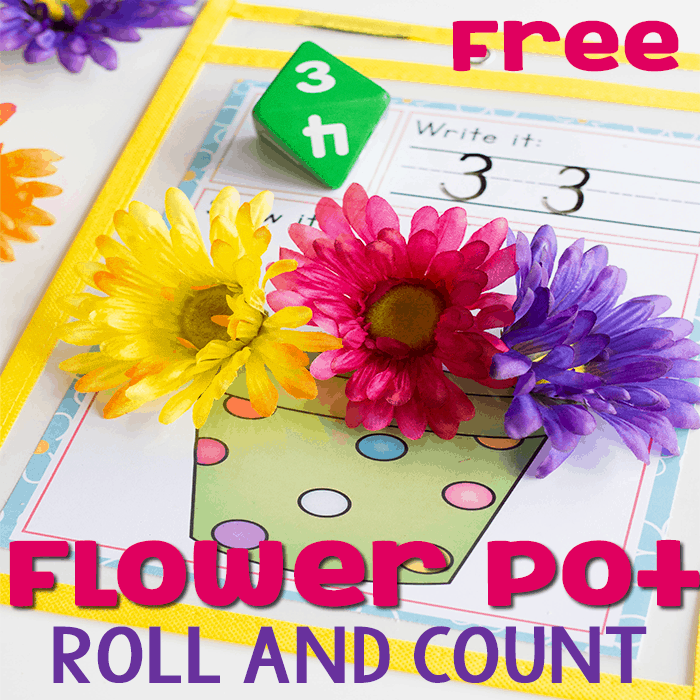 To prepare the flower pot roll and count math game, simply print the counting mat found at the end of this post. 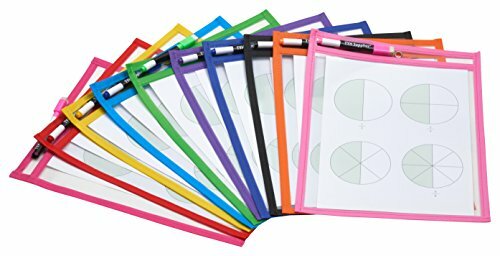 You can laminate the printable if you choose, which is great for keeping the game long-term or if you want to get right to the activity, just slip it into a write and wipe pocket and your math center is prepped. You will need some flowers to count with as well. 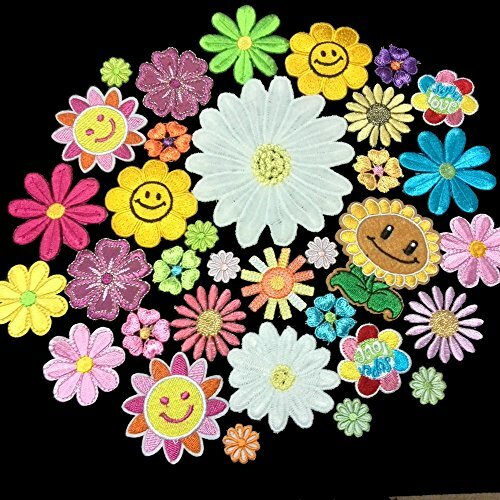 I chose to take the flower heads of a bouquet of flowers, but you can also use flower buttons, erasers or whatever you have on hand. 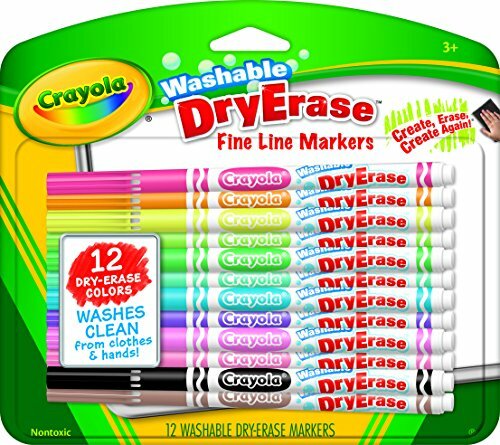 No need to make a trip to the store to get supplies. 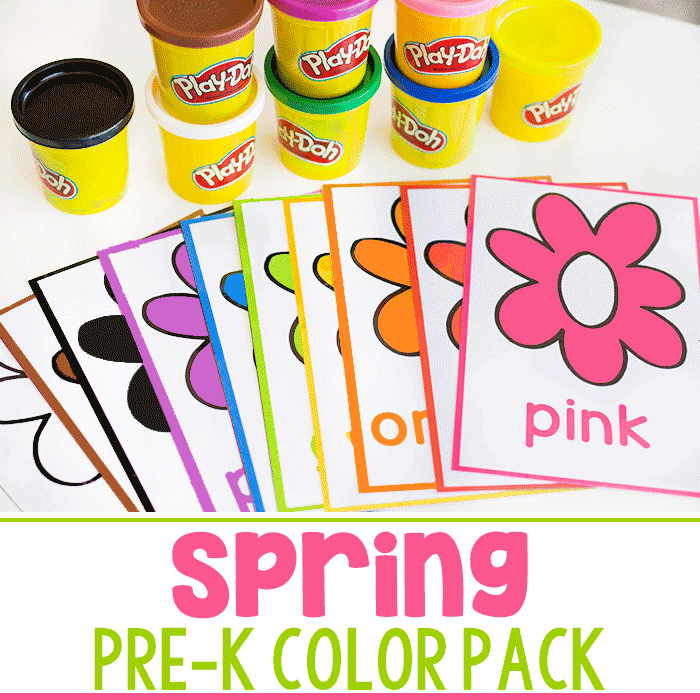 You could even add more hands-on learning by having the kids use cookie cutters to cut flowers out of play dough to use in the math center. 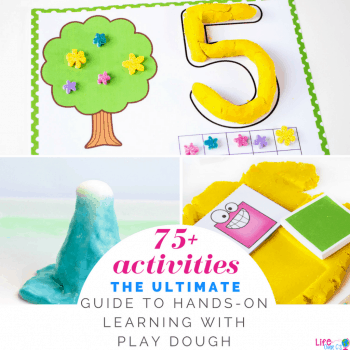 We LOVE play dough! We also love using our multi-sided foam dice for the roll and count math games, but you can use any dice that you have. 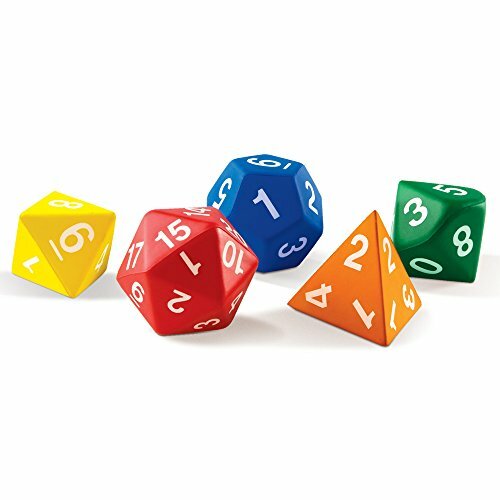 The benefit to using this set of foam dice is that there are dice for 1-10, 1-12, and 1-20 included, so you can challenge your more advanced learners. 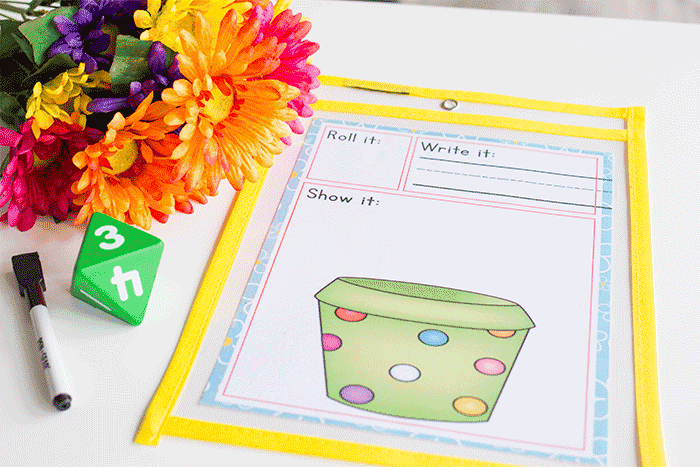 For a more challenging activity you can switch things up a bit by having the child roll two dice and add them together for a fun spring addition activity. 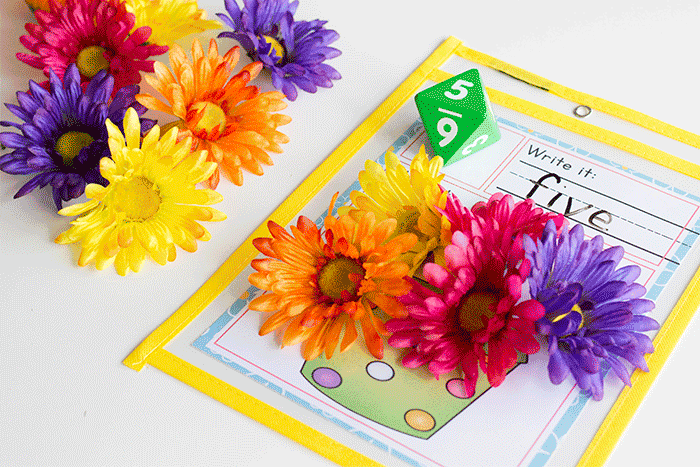 Or you could even place 10 flowers on the pot to start, roll the dice and have the child subtract the number that was rolled and determine the number of flowers that are left for a great beginning subtraction game. 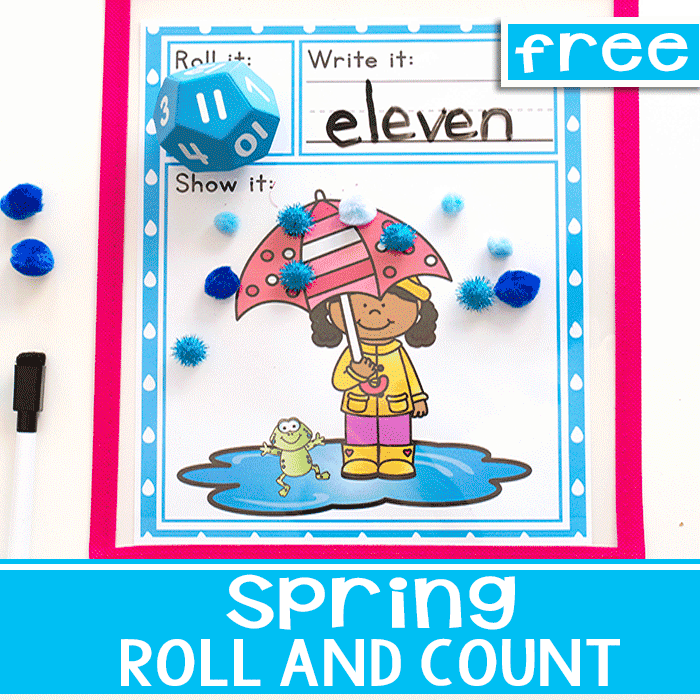 I would love to hear how you plan to use the free printable spring flower roll and count activity for your kids! Leave me a comment and let me know!